Tipperary manager Liam Kearns - Our luck has to turn at some point, and it is not the first time we have had our backs to the wall. 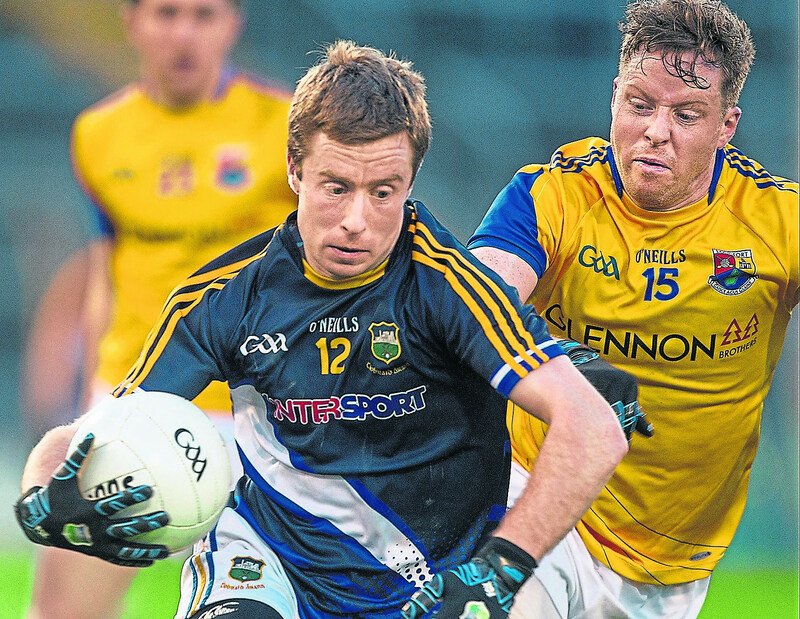 Tipperary senior footballers are back in action in Division 2 of the National Football League for the third week in-a-row on Sunday next when Donegal come to visit at Semple Stadium, Thurles (throw-in 2 pm). Going into Sunday’s encounter the teams are at opposite ends of the table, the Ulster side sit atop the eight-team group with full points from their two games (away to Clare and at home to Meath), while Tipp are bottom of the pile on just one point following an opening day defeat in Navan to Meath and last Sunday’s home draw against Fermanagh. Favourites from the outset to make an immediate return to their more familiar territory of Division 1, Donegal have been getting the results so far but haven’t exactly been setting the world on fire. They eventually saw off Clare in Ennis last Sunday week winning by 0-16 to 0-13 and on Saturday night last in a freezing Ballybofey they had to come from behind to win against Meath who led by four points after 43 minutes. Eleven minutes from time Donegal’s Caolán McGonagle, touched home a goal from a high ball to kick-start the home revival. A Ciaran Thompson, free, his fifth point of the night, got Donegal level and injury-time scores from substitute Eoin McHugh and Jamie Brennan, saw Donegal home by the skin of their teeth (1-13 to 0-14). As if Tipp weren’t already facing a difficult task, that close call will only help sharpen the focus of Declan Bonner’s side as they make the long trip to Tipp on Sunday. Tipperary's Brian Fox who scored both goals in Sunday's draw with Fermanagh. So far this campaign the Ulster side have been without the likes of Michael Murphy, Paddy McBrearty, Paddy McGrath and Frank McGlynn — not to mention their sizeable crew from All-Ireland club hopefuls Gaoth Dobhair. It will be interesting to see if they strengthen up ahead of Sunday’s clash in Thurles. The injury count, according to Kearns when speaking to the press on Sunday last, was nine. Former All-Star Michael Quinlivan is out for five or six weeks following knee surgery, while both attacking defenders Bill Maher and Cian O’Connell will be lucky to see any League action, he said. Add in the absence of former captain and dynamic counter-attacking defender Robbie Kiely, Paul Maher, Paudie Feehan, Evan Comerford, Luke Boland and Josh Keane (who missed last weekend due to sickness) it is plain to see Tipp are facing a genuine crisis. Team sweeper Brian Fox who put in an outstanding performance on Sunday last as well as scoring his side’s two goals, thinks Sunday’s game will be a good battle against Donegal. The introduction of Daire Brennan since the league started has been a positive and the Kilsheelan/Kilcash clubman has put in two decent showings against Meath and Fermanagh. Sunday last also saw League debuts for Commercials players Michael O’Reilly (goalkeeper) and Conal Kennedy (midfield), while Kevin Fahey, Liam Casey and Liam McGrath also stood out. Hopefully the siege mentality that now prevails with the Tipp footballers will guarantee another fighting performance on Sunday next. After that you can’t ask for anymore. Write them off at your peril.